Bulldogs are very special and very different from other dog breeds. Among the qualities that make them stand out: their legendary patience with children and their quiet and calm behavior. The main drawbacks are that they are relatively short-lived as compared to other dog breeds, but this is of course very dependent on their living conditions, genetics, health and diet. (see: Recommended food for your bulldog). They are also extremely intolerant to heat and excessive exercise and may present whelping problems. 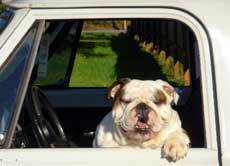 The difficulty to breed bulldogs explains why they are relatively expensive. In addition, their food and vet expenses will often be higher than with other dog breeds of the same category. Another point of which the buyer should be aware is that Bulldogs are chronic chewers, not only as puppies, but throughout their lifetime. It is important to provide plenty of safe chew toys. While the Bulldog was originally bred as a bull-baiting dog, they no longer have any inclination towards that type of activity. Their favorite position is flat on the floor staring contentedly at their owner. 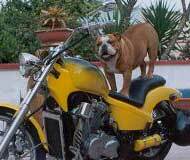 The Bulldog's quiet temper, the fact that they only bark when there is a good reason and the fact that they need little exercise, make them suitable as a pet in a city flat. Read more about the Bulldog's temperament and character. 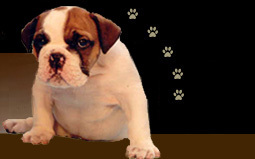 Most pet owners are so intrigued with the antics of their Buldog puppy that they do little disciplining or training. As the puppy grows in size and matures, he should be given at least a minimum amount of training. It is surely not a dog that will jump at your every command and although complete obedience training is not necessary, it can easily be accomplished with a little patience. Bulldogs should be treated kindly, but firmly. Some bulldogs may have genetic defects (especially those who are the result of poor breeding practices) and may be subject to illnesses that affect many breeds. Common health problems you may encounter include: elongated soft palate, small trachea, allergies, dermatitis, demodetic mange, eye lid anomalies, hip dysplasia and heart problems. Some of them have a tendency toward self-mutilation (especially if they have itchy skin), so owners should watch carefully for signs of skin irritation and scratching. If you are adopting an older dog, many of these conditions will already have been identified. Although some breeds have been severely damaged by poor breeding, the best response to a long list of possible defects and problems is to be alert for them at the outset. Also, keep in mind that the length of a list may reflect the state of knowledge about a breed more than the likelihood of running into problems, meaning that they have been studied more intensively. 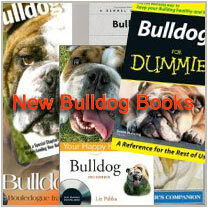 Uncommon or rare breeds are generally less studied than more common breeds like the bulldog, resulting in shorter lists. A defect in a rare breed may also propagate more quickly and be harder to eliminate from the smaller population. An additional problem is that despite its popularity among the public, the specificity of the bulldog is poorly known by most veterinarians. What may be the right treatment or action with all other breeds may be disastrous to a bulldog. Since not all veterinarians are knowledgeable of this, please consult experienced Bulldog owners or rescue organisations to find a 'bulldog-qualified' veterinarian. Any veterinarian who will be doing surgery on your Bulldog should have previous experience with putting Bulldogs under anesthesia. If you don't have such a veterinarian in a reasonable range of your home, or if you don't know any other bulldog owners and if the breeder you intend to buy your bulldog puppy from, doesn't seem the type to provide follow-up service, it may be not a wise decision to choose a bulldog. This is even more true if this is to be your first dog.